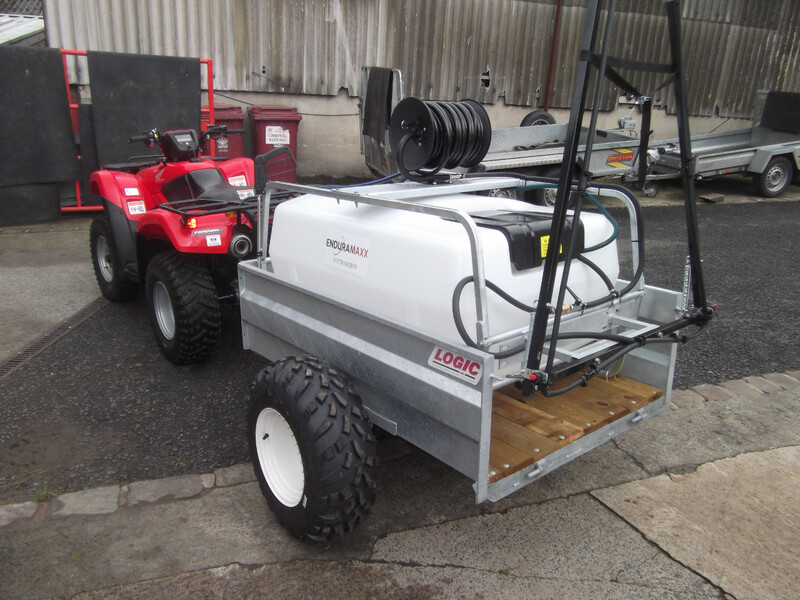 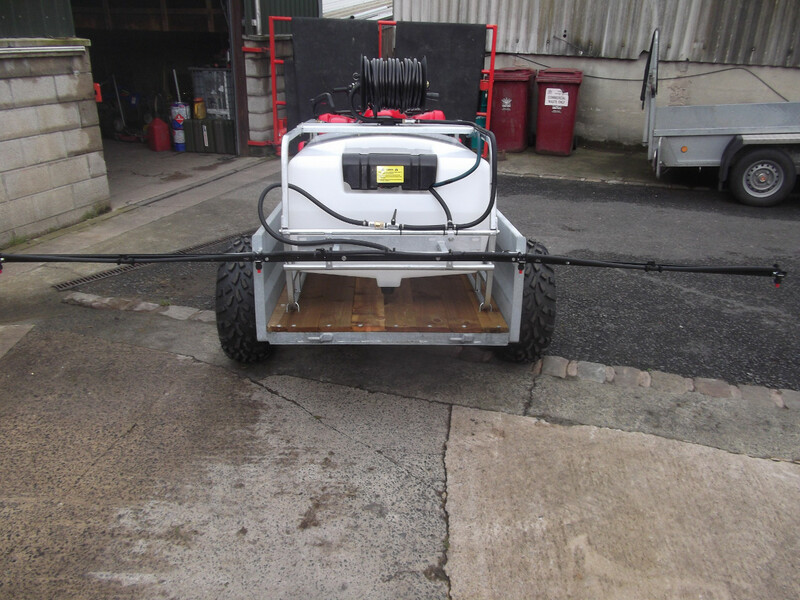 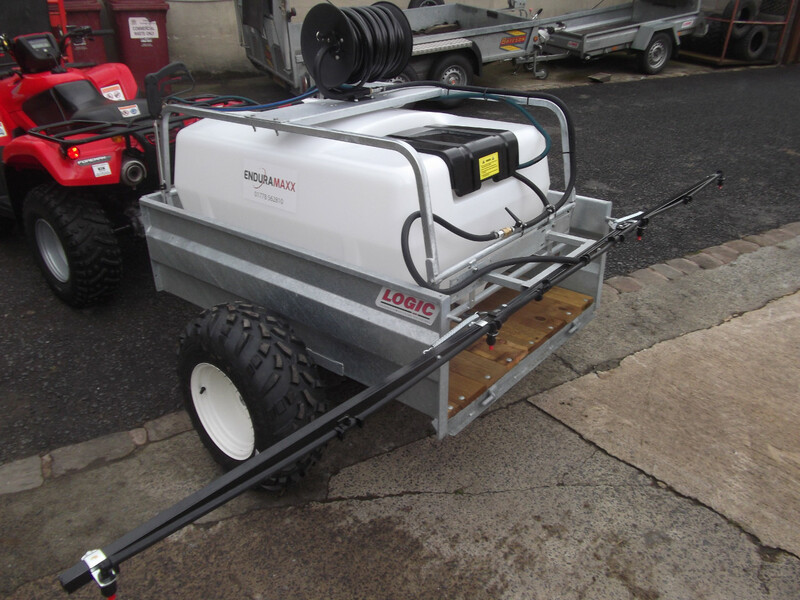 One of our customers came to us recently with a very specific set of requirements for a sprayer trailer with a boom. 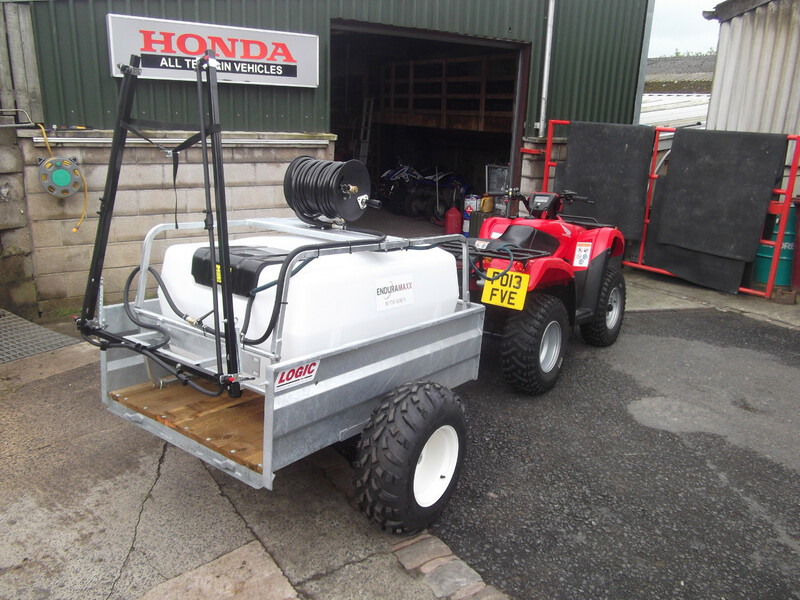 In order to get him the best equipment for his needs we custom made an Enduramaxx boom sprayer combined with a Logic trailer. 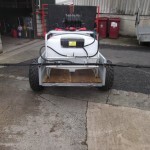 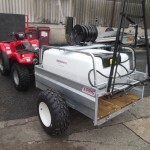 This combination allowed him to quickly and easily spray a large area of land without having to fill up regularly and with reduced risk of rollover. 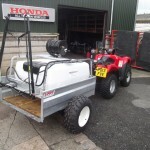 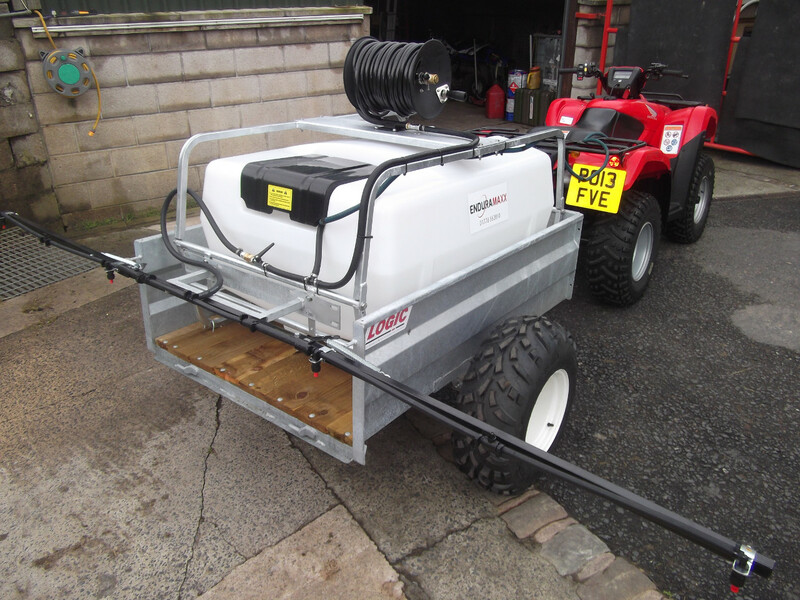 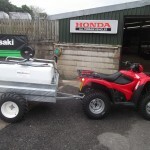 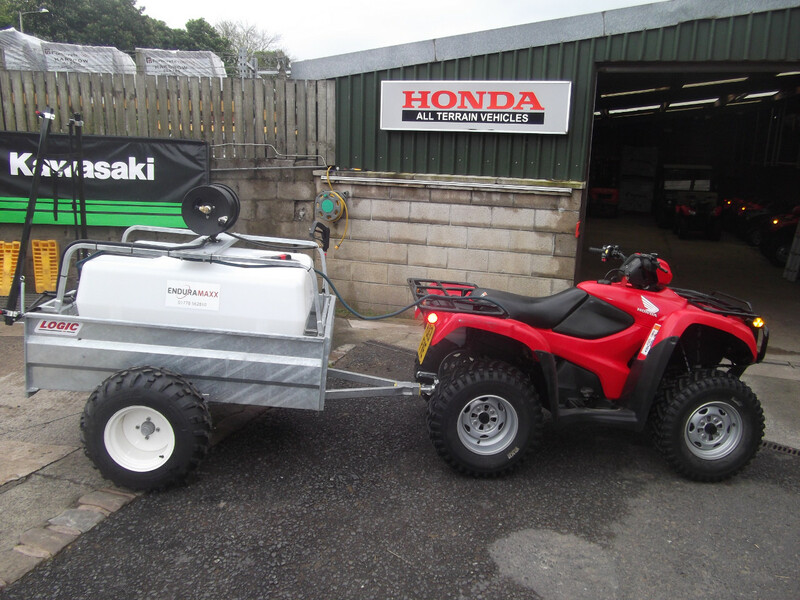 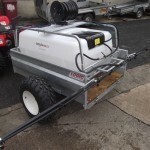 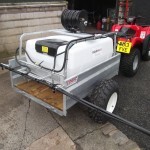 Mounting a large sprayer tank on an ATV‘s carrier can be perilous due to its high centre of gravity but seating a large tank low in a trailer along with it’s wider track mean enhanced stability and ease of use.